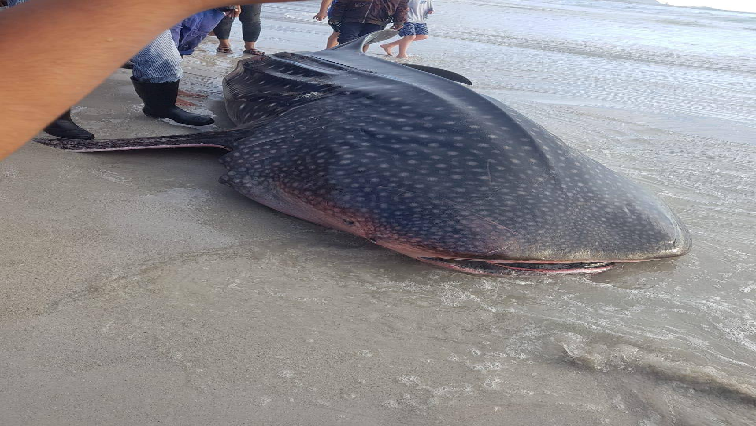 Arrangements underway to remove whale shark carcass - SABC News - Breaking news, special reports, world, business, sport coverage of all South African current events. Africa's news leader. Efforts were made to keep it alive, but it died naturally Saturday night. Vets and marine scientists feared for the mammal’s life as it was barely alive when it washed ashore. Efforts were made to keep it alive, but it died naturally on Saturday night. The Sea Rescue Institute says the Solid Waste Division of the City of Cape Town is already making plans to remove the carcass as soon as possible. In the meantime, the public and other animals are being kept away from the dead shark for safety reasons. This entry was posted on 14 Apr 2019,09:45AM at 9:45 AM and is filed under Sci-tech, Homepage Latest Stories Slider. You can follow any responses to this entry through the RSS 2.0 feed. Both comments and pings are currently closed.